The past year 2017 was an exciting year for Software Testing industry, it has seen trends that are hyped around AI and test automation. Artificial intelligence has long way to go in Software Testing, though it has started its disruption. 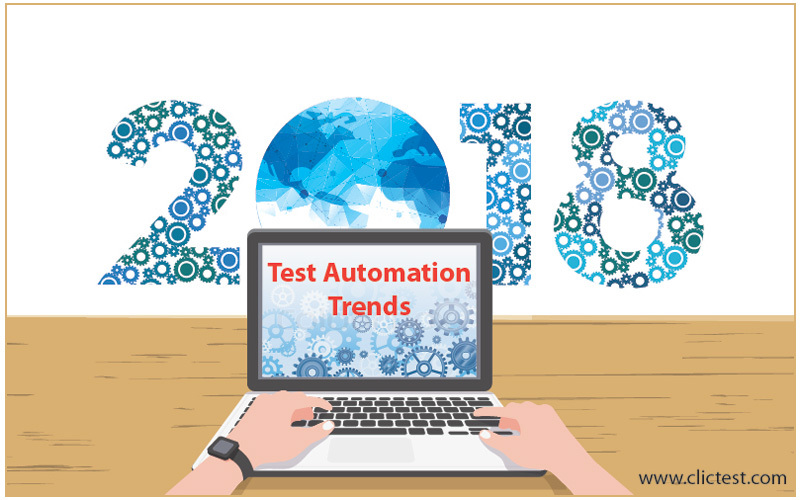 Whereas, test automation has become integral part in the software testing, and a lot of trends have shaped up around it last year. The same might continue this year also. Improvements and new features addition brings the need of doing regression testing, which ensures an application’s functionality against improvements and new features added. Doing regression testing manually every time when there is an improvement or new feature addition consumes a lot of time, effort and is also tedious. Automating regression testing has become a boon for organizations in terms of improving release time and quality with reduced cost and effort. The main purpose of automation testing or test automation is shortening the testing time to shorten the release time. So, it doesn’t matter whether a test is a regression test or a user acceptance test or any another type of test, all that matters is the benefit in terms of cost, effort and time of automating a test instead of doing it manually. Although automation has become a buzz word in the software testing industry, manual testing still has its prominence. It makes sense for automating the tedious manual tests that have to be repeated over again and again either to ensure an application’s functionality against an improvement or a feature addition, or to test with different sets of data. Alongside manual testing should be performed to focus on defect detection and adding business value to a software. Combining manual testing and test automation practices will lead to an improved software release time and quality. So, it will be a trend that may take full shape in the year 2018. Digitalization has led businesses to participate in a race to have competitive edge by updating the applications that represent their business with enhancements and bug fixes, and enabling their customers to access the update applications as early as possible. As “Continuous Delivery” promises frequent software releases as often as on hourly basis, a lot of organizations are embarked on their CI/CD transformation. Though organizations adopt CI/CD, there is a gap to achieve software releases at a lightning speed without compromising on quality. Test automation practices that embrace CI/CD and enable “Continuous Testing” are essential. On a concluding note, the modern software testing landscape will not be same tomorrow as today, and test automation will open doors to more and more new trends in the upcoming years.